Could This Be The Worst Driver In China? China and Russia are said to be angered over US deployment of its THAAD missile defense system to South Korea. They are deeply concerned about the invasiveness of the system’s powerful radars. When North Korea’s threat via nuclear capable delivery systems is removed, THAAD and its “prying” eyes goes home. The problem is not THAAD; the problem is a North Korea armed with nuclear capable ballistic missiles. China and Russia both know what has to be done. China needs a strong, stable ally on the Korean peninsula—a non-nuclearized ally. When that is achieved, China, Russia, North Korea, and South Korea all win. The United States is moving a THAAD (Terminal High Altitude Area Defense) system to Guam to counter ominous threats from North Korea. The El Paso Times says a unit may be deployed from Ft. Bliss. WantChinaTimes is reporting that Russia’s coast guard fired on two Chinese fishing vessels Tuesday after a three-hour chase. A major earthquake measuring 7.4 magnitude has occurred in Japan. A tsunami alert has been issued. NHK is covering live. Yahoo! News has posted the sound of Japan’s monster earthquake. Terrifying sound…. Hear it at Listening to the Deep Ocean Environment as well. Good question…why aren’t the Japanese looting? Why aren’t they killing each other in the street? Where’s the mayhem, the anarchy? Foreign observers are noting with curiosity and wonder that the Japanese people in disaster-plagued areas are not looting for desperately-needed supplies like bottled water. This behavior contrasts sharply with what has so often happened in the wake of catastrophes elsewhere, such as Haiti, New Orleans, Chile, and the UK, to name only a few. Most people chalk up the extraordinary good behavior to Japanese culture, noting the legendary politeness of Japanese people in everyday life. 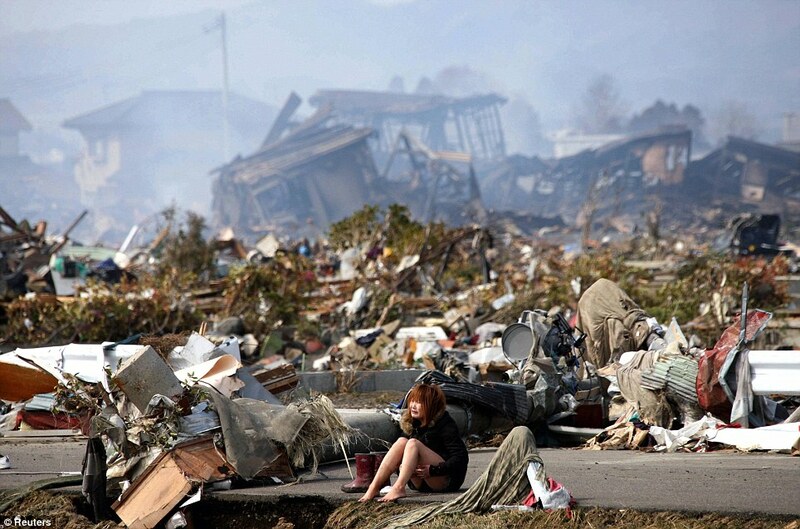 The Daily Mail has an article with a photograph of a Japanese woman sitting on a road, weeping amidst nothing but destruction around her. Everything she knows is gone; a home, friends, family, civilization; what will she do now? How will she survive? Stunning photo and time for some introspection on our part, not to mention a little help.